Large freshwater pearl bracelet with sterling silver components. The initial and large ring has been handcrafted in sterling silver. 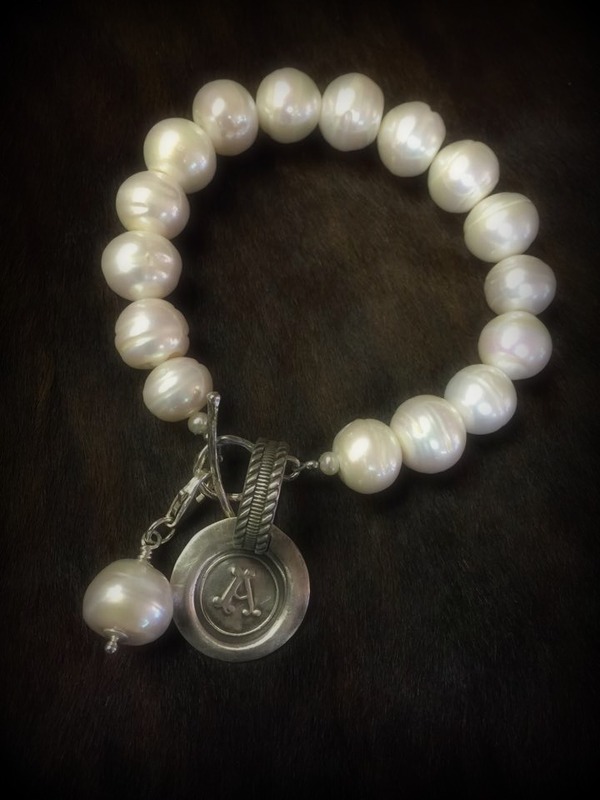 Bracelet is accented with a large pearl bobble which is capped and attaches by lobster claw allowing you to take it off and wear with other pieces as well as the initial which is attached by large ring which simply slides over pearls and moves around freely.